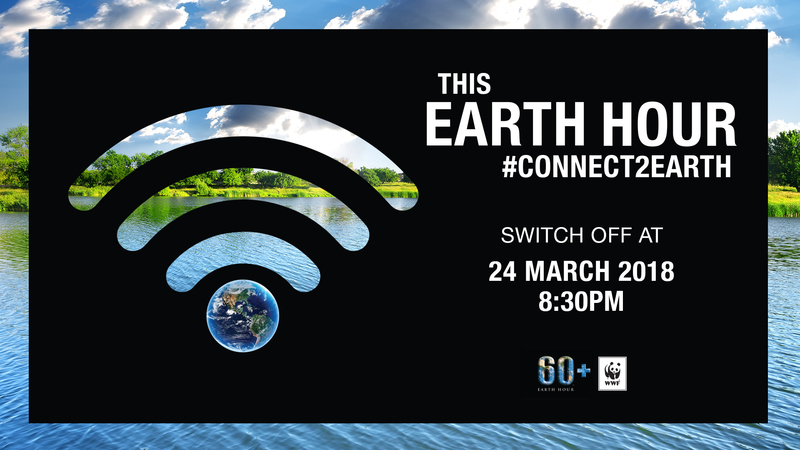 Earth Hour, WWF’s landmark movement, is set to once again unite millions of people around the world to show their commitment to the planet. As our one shared home faces the dual challenge of climate change and plummeting biodiversity, the world’s largest grassroots movement for the environment aims to mobilize individuals, businesses and governments to be a part of the conversation and solutions needed to build a healthy, sustainable future – and planet – for all. Having started as a symbolic lights out event in Sydney in 2007, Earth Hour is now celebrated in more than 180 countries and territories as a global moment of solidarity for the planet. Online, #EarthHour and related terms last year generated over 3.5 billion impressions in the run up to Earth Hour, trending in at least 30 countries worldwide on the night. The movement has been a game-changer for popularizing climate and environmental action across the globe. As global biodiversity declines at an unprecedented rate, Earth Hour will focus its efforts on galvanizing mainstream support for action on biodiversity and nature. “Biodiversity and nature underpin our lives, our economies, our health, our well-being, our happiness. It is the foundation of our living planet. Today, as we push the planet and its natural systems to the edge, Earth Hour is our chance to use our power, as individuals and as a collective, to demand and take action to protect this web of life in return for all it gives us. For the benefit of all life on Earth and of our own future,” said Marco Lambertini, Director General, WWF International. In the past decade, Earth Hour has inspired millions to support and participate in critical climate and conservation projects led by WWF and many others, helping drive climate policy, awareness and action. Among its highlights, the movement has helped in the creation of a 3.4 million hectare marine-protected area in Argentina, a 2,700-hectare Earth Hour forest in Uganda and helped pass new legislation for the protection of seas and forests in Russia. In 2018, WWF and Earth Hour teams around the world will be using the movement to highlight the environmental issues most relevant in their country or region. In Colombia, people will call for the country to commit to zero deforestation by 2020. French Polynesia is expected to move to protect 5 million square kilometers of its seas to preserve ocean ecosystems. In Guatemala, citizens will raise their voice on the importance of freshwater conservation and in India, people will pledge to shift toward sustainable lifestyles. In Nepal, WWF will mobilize public support for a clean, renewable energy future for all. Starting today, supporters can visit connect2earth.org to share what biodiversity and nature means to them in the places they live in and find out more about it. Created in partnership with the secretariat of the United Nations Convention of Biological Diversity, the platform aims to build mass awareness on the values of biodiversity and nature by kick-starting global conversations on issues such as climate action, healthy oceans and sustainable business. The project is supported by Germany’s Federal Ministry of the Environment, Nature Conservation, Building and Nuclear Safety with funding from the International Climate Initiative. Visit www.earthhour.org to know what’s happening in locations around the world and read individuals’ stories about what they are doing for our planet. This is our time to secure a healthy, sustainable and climate-resilient future for all.